This is where all the magic happens…I am lucky that I have a room to make into a studio. I kicked my husband’s office out into the laundry room (that is a later post). 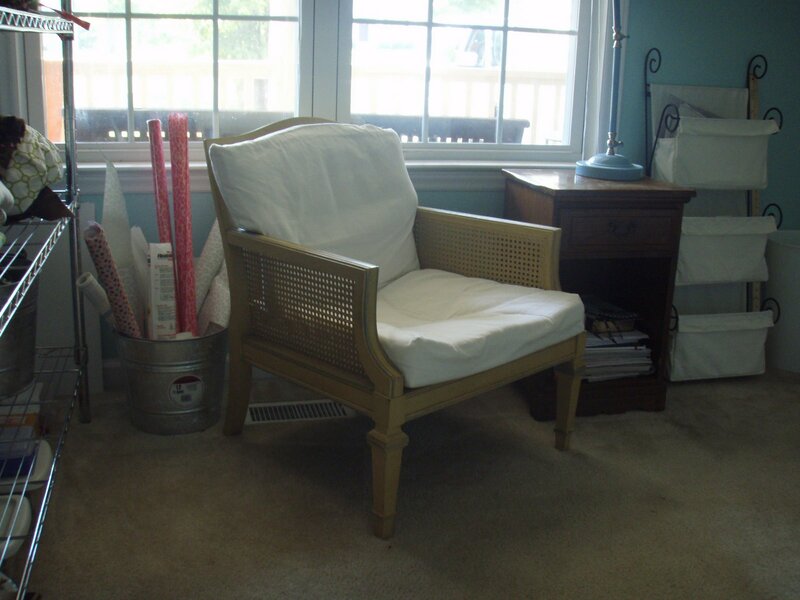 I have my sewing machine & my embroidery machine always set up…so I can sew whenever I want. In the white dresser are all my supplies & items for embroidery. 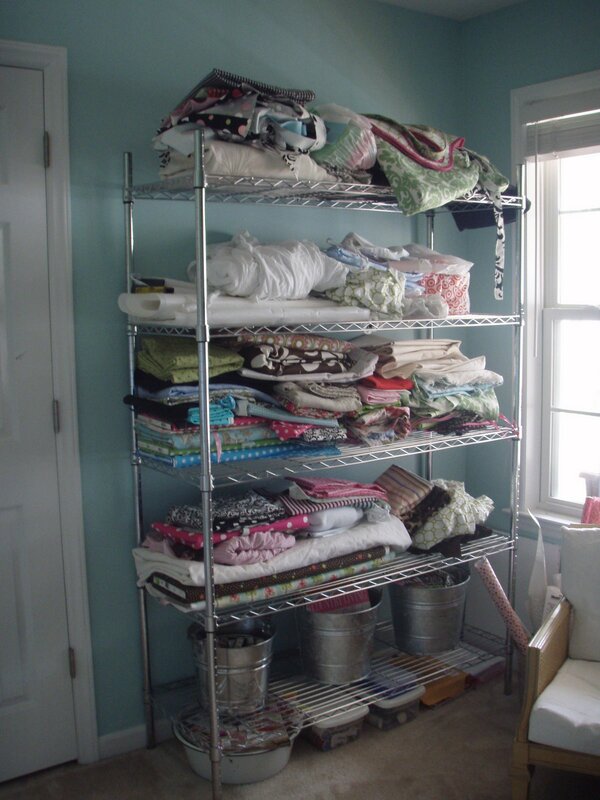 Also, I use a plastic shoe organizer on the back of the closet door to store…thread, ribbon…etc. My big fat mess of fabric & unfinished projects…yes, I’m going to finish the aprons…? On the bottom shelf, I have 3 galvanized buckets. One has craft paints, one has old magazines (for cutting up) & the other has fabric scraps. I put these here specifically for the girls so that they can get to them anytime and they know which fabrics, ribbon & magazines they get to cut up. I have a SERIOUS magazine addiction! I’ve been making them ask before they cut into one…so I figured I should stop being the magazine nazi & designate some for them! This is our little school wall…really. It was the coffee table…now in here. This table has been moved from room to room…outside to inside! My fabric cutting mat is on the table…so I can still cut fabric. I’ll have a bad back, but I still have a place to cut some fabric! And it helps with crayons not going into the cracks of the table top. This is definitely a work in progress! I’m going to add a clock & a calendar. They just like being in here with me. 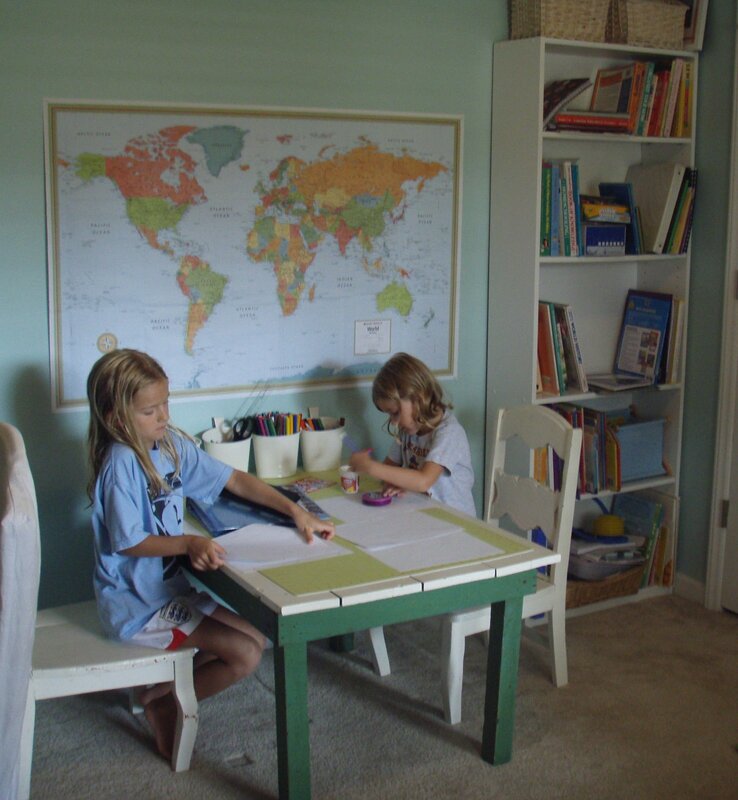 We’ve really been doing ‘school’ all over the house…the kitchen table, reading in the living room. I think that they think this is just the Arts & Crafts Room…which, I guess it is! I LOVE it! BTW: Where did you get the buckets? I have been wanting to pick some up because they are GREAT and virtually unbreakable! Its always great to be able to identify with mommy, your girls look adorable! I got the buckets at Home Depot or Lowes. There are a plethora of sizes & shapes! can i come in there and be with you??? 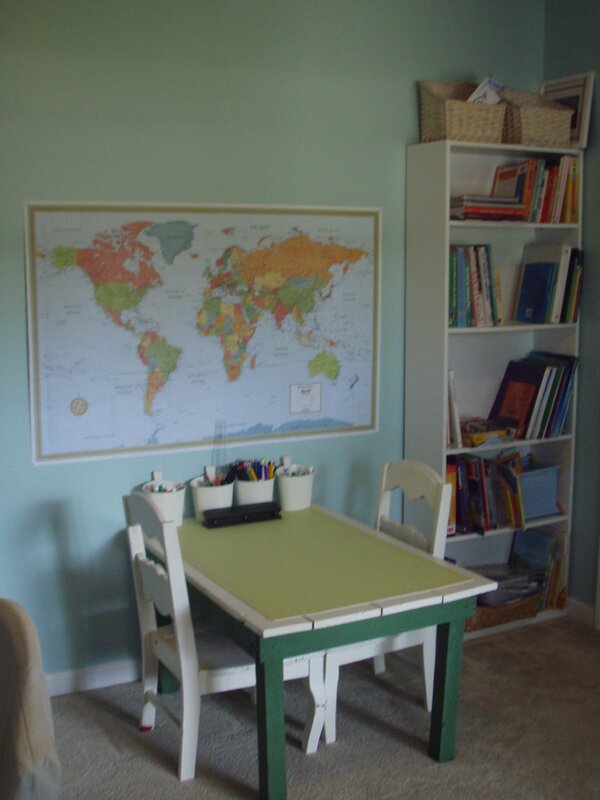 Love your homeschool/craft room. 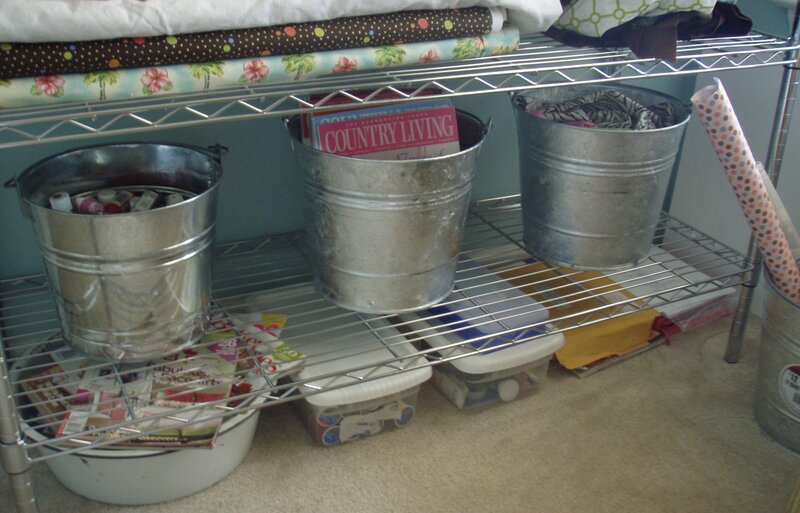 The buckets are a great idea; did you know IKEA sells different sizes of galvanized square storage bins with a tag frame on the front and optional lids so they can stack or just keep the dust off the contents. 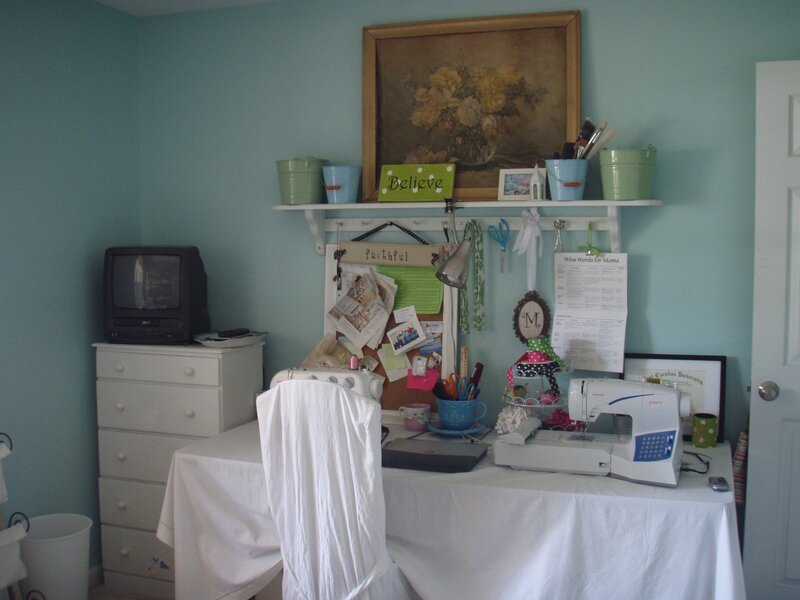 I also have a craft/school room which I love, home-schooling sometimes makes it tough to control the clutter. BUT MY ROOM IS A MESS right now, so I better go clean it~! I love it. I can't believe how funny/similar it is to my school room/craft studio. I heard about your blog through Edie. Love the buckets too.